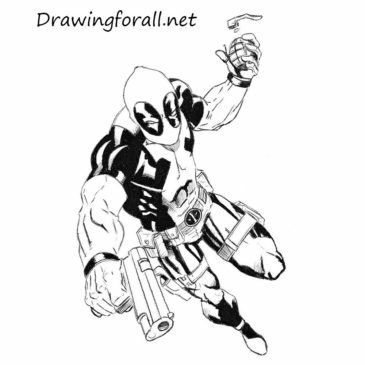 Hello everyone, today we decided to please fans of the Marvel Comics universe and draw a portrait one of the most unusual and crazy representatives of this universe – Deadpool. 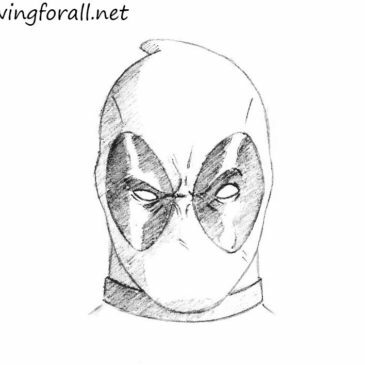 Hello everyone, today’s lesson is made at the request of our readers who are not indifferent to the Marvel universe, and today we will draw the mysterious Deadpool! Note, that Deadpool’s costume is very similar to Spider-Man. Hello! The theme of today’s article – how to draw a sporty girl with a pencil. Note that we are going to draw in a little-simplified style, even a cartoon style. Hello, dear young artists! 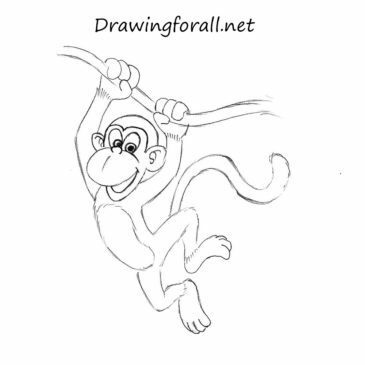 On our site, we continue to create drawing lessons for beginners and children. Good time of day dear readers of Drawingforall.net! 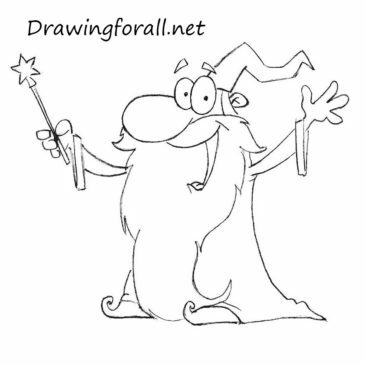 In today’s art class, our team we’ll teach you how to draw cartoon wizard. Hello, dear lovers of yellow family! 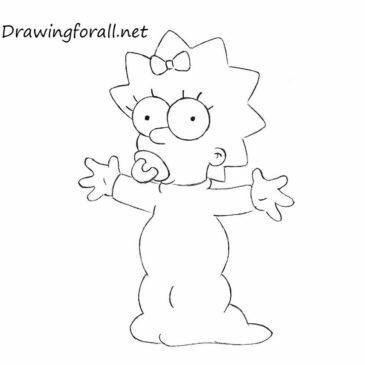 In today’s drawing lesson we will show you how to draw the youngest member of the family – Maggie Simpson. Hello! 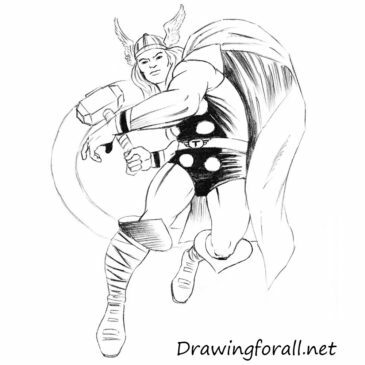 We have a new drawing lesson. 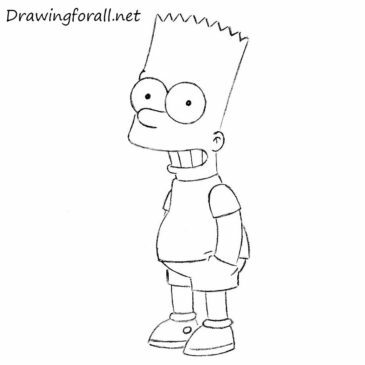 The theme of this tutorial is how to draw Bart Simpson. 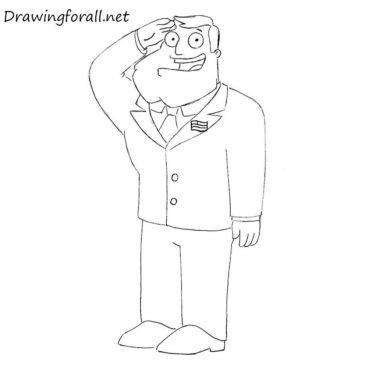 Today we are going to draw the head of the Smith family – Stan Smith. Stan is the main protagonist of the series “American Dad” authored by Seth Macfarlane (creator of Family Guy). Hello! 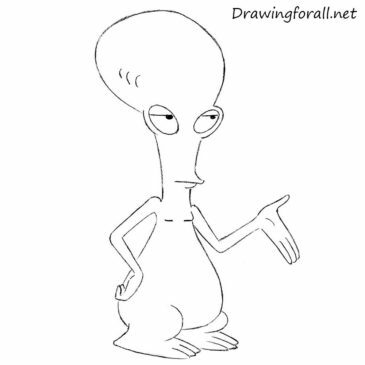 Today, we draw the pet of Smith’s family from American Dad, an eccentric and colorful alien Roger. Note, that this character looks like a classic alien.